Live jazz! At the peebs! Again! 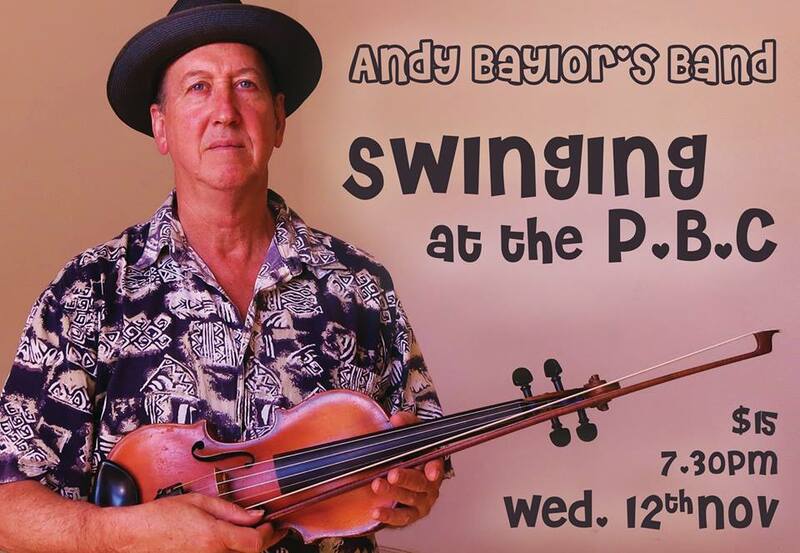 We welcome Andy Baylor and his band to the Petersham Bowling Club for your dancing pleasure. 8.00pm Live music with Andy Baylor's Big Four. If you've been coming along to classes at the PBC for a while now, this is the perfect opportunity to test out social dancing with friends. If you've no time for classes, because you live for the social dance floor, this gig will give you a mid-week hit. The PBC has a full bar, specialising in craft beers and local ciders, and the bistro is open for dinner from 5.30pm. Why not drop in for the class, or have something to eat before the band starts?